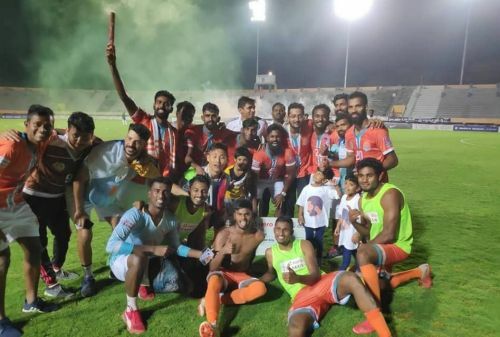 Chennai City FC were crowned the champions of the I-League for the 2018/19 season after beating the defending champions Minerva Punjab 3-1 at the Jawaharlal Nehru Stadium in Coimbatore. Beginning the season as underdogs, Chennai City have beaten all the odds to be crowned the champions of India's premier football league. The Spanish trio of Pedro Manzi, Nestor Gordillo, and Pedro Rodriguez played a very vital role in the team’s performance. At the back, Roberto Eslava and Gaurav Bora built a good defensive partnership to help the team at crucial situations. By winning the I-league, Chennai City FC have become the 1st team from Tamil Nadu to be crowned champions. They have achieved this feat just 2 years after getting promoted to the 1st division. The team has scored 48 goals this season with 21 of those coming from the team’s captain Pedro Manzi. Nestor Gordillo topped the assist providers with 5 assists to his name. The performances of Indian players like Romario Jesuraj, Pravitto Raju, Gaurav Bora and Edwin Vanspaul were also extremely encouraging. The management shifted its base to Coimbatore last season in order to make it their permanent home ground. Having recently partnered with Swiss giants FC Basel, the management has boosted the chances of improvement in infrastructure facilities of the stadium and enhance player exchange programs. Manager of the Chennai City FC, Akbar Nawas who was appointed at the beginning of the season built a solid team around the 3 Spanish players. The attacking approach has helped the team score more goals. Chennai's rivals and title challengers East Bengal fell short of winning the title by 2 points and have settled as runners-up. By winning the I-league, Chennai City have qualified for the AFC Champions League Qualifiers of the next season. AIFF President Praful Patel congratulated the team for clinching its maiden title. "Congrats on your win @ChennaiCityFC, congrats on your fearless effort; and wish you many congrats for your future sports. From being on the brink of relegation last season, the team has shown great determination and grit to win the league this season. The co-owner of the Chennai City FC Rohit Ramesh always stood with the team and has been their major pillar of support.